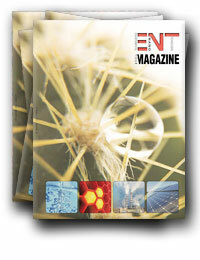 ENT Magazine is an international magazine covering the latest research, applications, and opinions in the field of nanotechnology for the environment - alternative energies, water, air and soil purification. The American Filtration and Separations Society (AFS) is offering Water Filtration and Liquid Separation Training on March 22nd in San Antonio, Texas, USA. 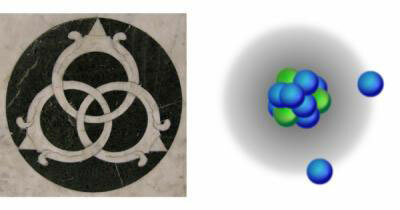 In January 2010, a new Helmholtz university junior research group was set up at the GKSS Research Centre in Geesthacht. The new group devotes itself to the interface properties of polymer-metal hybrid structures produced by advanced joining technologies. Two Purdue University researchers are among 69 chosen nationwide by the U.S. Department of Energy to receive awards through the DOE's new Early Career Research Program. Licht eignet sich besonders gut, um die Zufallsbewegung eines Quantenteilchens in einem Experiment zu untersuchen. A new, more efficient low-cost microring resonator for high speed telecommunications systems has been developed. This technological advance capitalizes on the benefits of optical fibers to transmit large quantities of data at ultra-fast speeds. Hydrogen-powered fuel cells and solar energy are the best hope for a more environmentally friendly and resource-sparing energy supply in the future. Previous approaches to this have suffered from high costs and the limited lifetime of their catalytic systems. 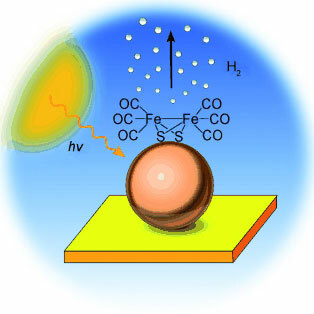 Researchers have now introduced an efficient, robust photoelectrode made of common, inexpensive materials. Researchers at the California Institute of Technology (Caltech) have developed a way to make some notoriously brittle materials ductile - yet stronger than ever - simply by reducing their size. 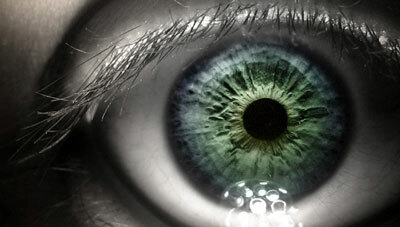 Researchers trying to restore vision damaged by disease have found promise in a tiny implant that sows seeds of new cells in the eye. They built a mesh through a process called electrospinning, which uses electrical charges to draw biodegradable polymers out of a needle and into a fine stream, producing interwoven fibers ranging from 1/20th to 1/1000th the width of a hair. House representative David Wu has introduced the Nanotechnology Education Act (HR 4502 IH) with the goal of strengthening the capacity of eligible institutions in the U.S. to provide instruction in nanotechnology. Seit 1. Februar 2010 laeuft an der Europaeischen Akademie ein von der EU gefoerdertes Forschungsprojekt zum Einsatz nanotechnologischer Verfahren in der Arthrititis-Forschung und Therapie. 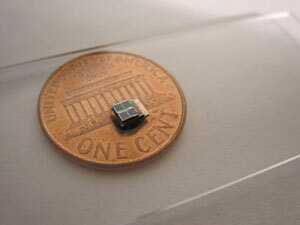 A 9-cubic millimeter solar-powered sensor system developed at the University of Michigan is the smallest that can harvest energy from its surroundings to operate nearly perpetually. Study of vesicular stomatitis virus leads to model of viral assembly process. Scientists at SINTEF/NTNU and the University of Oslo have been awarded NOK 25 million by the Research Council of Norway for investments in equipment for surface analysis. Scientists have observed electrons in a semiconductor on the brink of the metal-insulator transition for the first time. 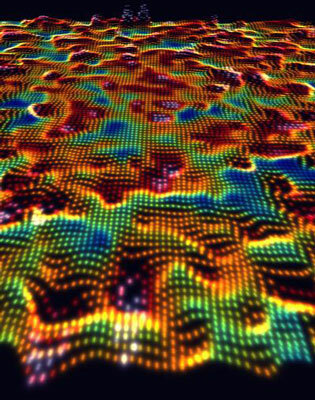 Caught in the act, the electrons formed complex patterns resembling those seen in turbulent fluids, confirming some long-held predictions and providing new insights into how semiconductors can be turned into magnets.